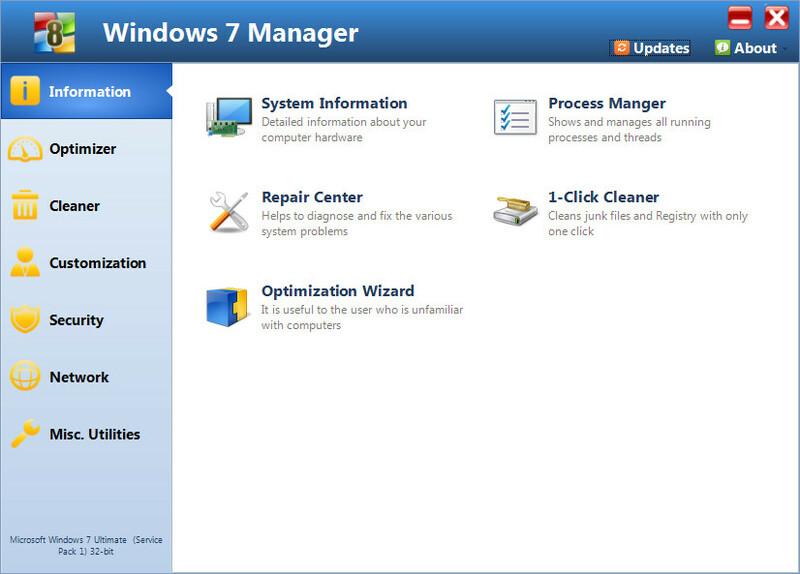 Windows 7 Manager - download in one click. Virus free. Windows 7 Manager is available for download without registration. It comes with a safe official offline installer for Windows 7 Manager. The interface is simple enough and gives you access to all of the main functions and features of the application. First, you want to take a look at the detailed system and performance statistics. Then, you can access the Optimizer and tweaking tools in order to fix or improve aspects of your system: control startup, optimize system services and Task Schedule, turn off unnecessary system services and tasks, etc. There is also a set of tools for system cleaning superior to standard Windows cleaner. You can find duplicate files with it, clean and defrag Registry, even lean Desktop directly. Other notable features include system customization by manipulating elements of the Start menu, toolbars and desktop; security improvement by tweaking system components, UAC and login settings; optimizing the Internet connection by IP tweaking and browser optimization; file backups; additional tools for managing Registry. 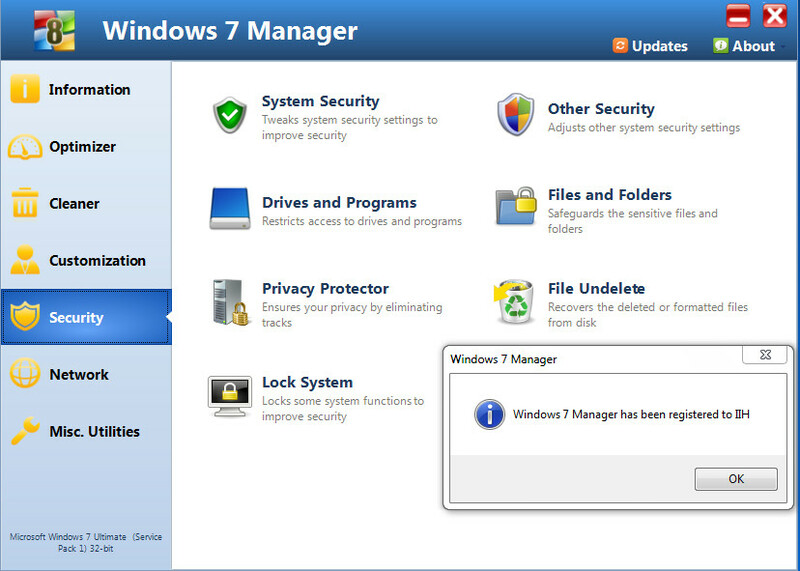 Windows 7 Manager is a complete and thorough set of tools for making the best you can out of your Windows 7.